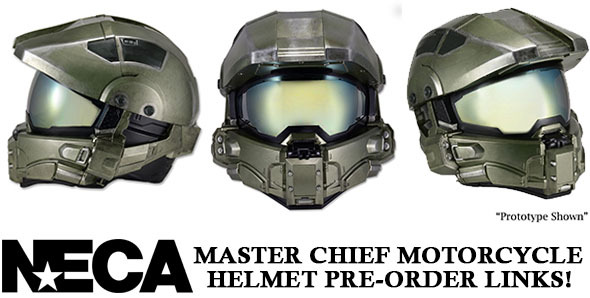 Official Pre-Order Links for the Master Chief Motorcycle Helmet! You are here: NECAOnline.com » Licenses » Video Games » Halo » Official Pre-Order Links for the Master Chief Motorcycle Helmet! 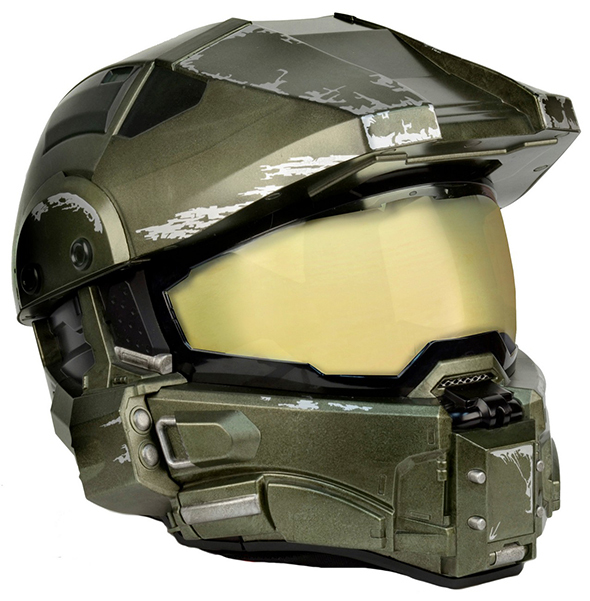 Pre-Order the Master Chief Motorcycle Helmet Now! In the weeks since we revealed it, questions have been pouring in about where, when and how to get our hotly anticipated Master Chief motorcycle helmet. So before the deluge reaches need-two-of-every-animal proportions, we are proud to present a list of pre-order links for authorized retailers in the U.S. and internationally. More links will be added as they become available! From the award-winning Halo video games, this limited edition replica of Master Chief’s headgear is also a fully functional, street-legal motorcycle helmet! It offers an exciting list of features that meet or exceed all DOT safety standards. To see the full feature list, CLICK HERE. This is a hot item, so pre-ordering from one of the official retailer links above is the best way to make sure you get your hands on one of these LIMITED EDITION helmets! More links will be added as they become available, so be sure to check back.